The budget for the year 2018 panned out really well for senior citizens. With the introduction of a new section 80TTB, the senior citizens are exempted from taxes to a large extent. Since old age takes its toll on a person’s health and pocket, the Finance Ministry has taken special care of the elderly with the introduction of a new section to the Income Tax Act, Section 80TTB. This section gives senior citizens relaxations in tax payable. Various deductions are introduced for the senior citizens under two categories: Senior Citizen and Super Senior Citizen. Earlier the senior citizens were exempted up to Rs.10000 on the interest income but now it has been extended up to Rs. 50000. Taxable income = Rs. 50,000 as per the applicable slab rate. Additionally, up to Rs. 10,000 exempted on a savings account. Given the problems and diseases old age comes with, the premium payment exemption limit for medical insurance has also been revised for senior citizens. For super senior citizens, the deductions are allowed not only for the premium payment but also for the actual expense incurred. Senior citizens are exempted from the payment of advance tax if there is no business income. They are only supposed to pay the self-assessment tax to be paid on the total income. 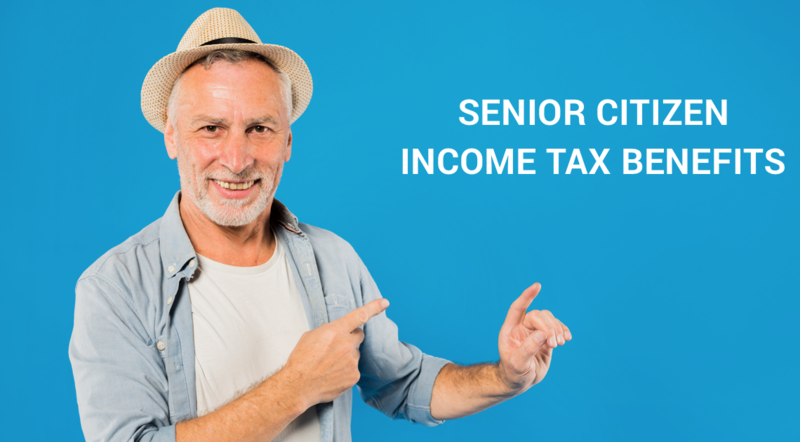 For senior citizens, there are no deductions of TDS on the interest earned up to Rs. 50,000. For senior and super senior citizens, the tax deduction limit on medical expenses in case of special critical illness has also been increased from Rs. 60,000 and Rs. 80,000 to one lakh each.